In 2015 several former World champions competed in the BRKC. 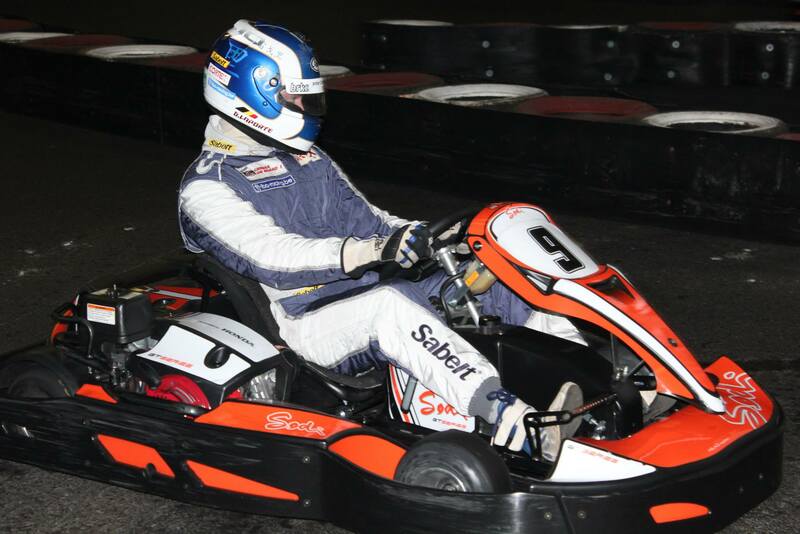 We spoke to 2008 Indoor Kart World Champion Greg Laporte about his experience of the championship. 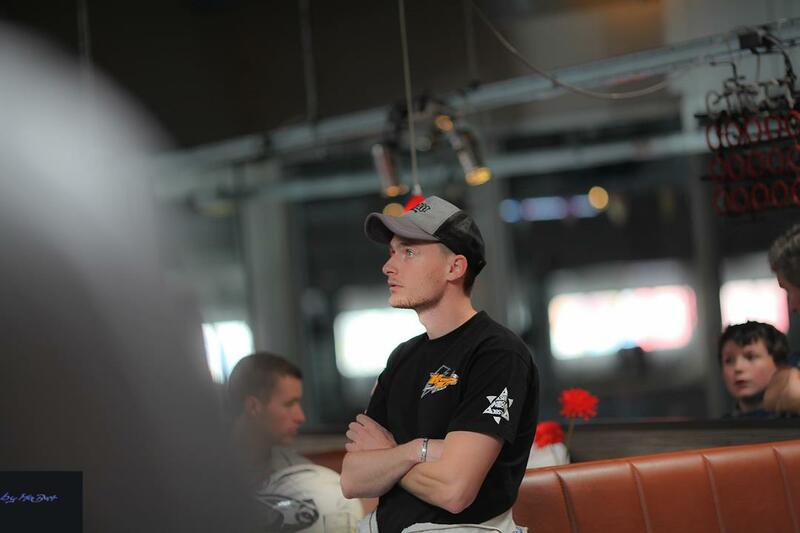 BRKC: Tell us a little bit about your role with the Kart World Championship. GL: I am part of the KWC Committee that was founded towards the end of 2007, when the KWC started hosting it events all over the globe, after the initial 3 events on Northern American soil. In this committee, I contribute as an advisor, making rule suggestions, improvements based on event experiences, and I try to help find new locations as well that would be suitable for hosting a big event like the KWC. There are many great tracks around the world, but karts, kart levelling, facilities, are all as important than the track layout itself. So during the year I try and help out the KWC group as much as possible, whilst during the events itself, I’m a competitor where I have no influence on any kind of decisions. BRKC: How did BRKC compare with other similar national qualifiers? GL: I really enjoyed competing in BRKC, even making it to the finals which had some national & international greats there. It was very challenging, which is what we love the most right? Compared to other national qualifiers (I did the Belgian & Italian series), I must say the level of drivers was similar, but the event managing in BRKC was top notch. The timing schedule was excellent. However, what sets BRKC apart is the live commenting during races, driver interviews and the livestream & live timing. This is a great plus and makes the experience for all drivers extra special. I’m definitely coming back to BRKC if my job allows for it. BRKC: What advice would you give to a driver competing for the first time in a high level indoor competition? GL: First of all I would advise every driver to drive as much as possible on different tracks (different karts, surface). Mainly because in the big competitions you will have to race guys who do so much racing all over Europe and the World. All the top guys adjust very fast to a new track, new surface, new karts – so it’s very important to understand quickly what makes you fast, and what doesn’t. Simply trying your best isn’t enough – it really takes dedication and even studying to make it to the top. I would also advise drivers to watch as many races as possible when you’re not driving yourself. To see what lines drivers are taking, to see where overtaking manouvres pay off and when they don’t, to see what pit strategies work best, etc. You really can learn a lot just with your eyes. Also, most drivers are as passionate as you are, so they will never act weirdly when you simply walk up to them and ask them some questions. Me & my teammates do nothing else but talk trajectories and what works & what doesn’t. This saves us a lot of time because we don’t have to learn everything individually. Finally, the ultimate key to success will be consistancy, which means being able to resist pressure. You must learn to do your races, regardless who is around you. If it’s a reigning champion, an ex F1-driver, or a rookie, they are just adversaries like all others, and that is something really important. You have to show respect, obviously, but never too much. Be selfish, you want to win, so you must do everything it takes and not be overwhelmed by some ‘big-name’. Fast laps, lap after lap, plus good racecraft and strategy will bring you success. Nothing else. BRKC: What impressed you most about BRKC in 2015? GL: The level of dedication by the BRKC people (organisers, staff) and the Formula Fast crew. This combination of a serious organisation team plus dedicated track owners were the key to success for BRKC 2015 in my opinion. Obviously the great level and number of drivers made it something special as well. BRKC races feature one compulsory pitstop to add a tactical element to the racing. Pitstop strategy is crucial, and BRKC 2016 will feature an all new technological innovation for precise measurement of each driver’s pitstop. As the driver enters the ‘stop box’ in the pitlane, a laser activates a red traffic light instructing the driver to stop. After a pre-determined time on ‘stop’, the system activates a green light allowing the driver to continue. A false start will trigger a separate warning light, notifying both officials and drivers that they must pit again to complete a full stop. Six-cess for Boutens at BRKC 2019!